Omar Allam is a former diplomat and current CEO of Allam Advisory Group, a global trade-consulting firm that advises companies doing business in Saudi Arabia and the Gulf. Canada’s diplomatic problems with Saudi Arabia could not have come at a worse time for Canadian companies looking to diversify into new markets and for Ottawa looking to attract foreign direct investment. In present circumstances, Riyadh’s expulsion of Canada’s ambassador to Saudi Arabia and economic sanctions imposed is shock therapy being applied in a heavy dose. The Saudis will not be seen as being weak and Riyadh is taking aggressive measures against Canada for “interference in the Kingdom’s internal affairs.” This impasse is already having an immediate and direct negative impact on Saudi investment in Canada’s education sector, in which Saudi Arabia has invested over $10-billion dollars in the past 10 years. Additionally, there is approximately $1-billion of Saudi investment in a diverse range of sectors: agriculture, real estate, tourism, hospitality, infrastructure and transportation sectors. Canadian businesses want access to the Saudi US$684-billion economy and neighbouring Gulf Cooperation Council. That access will be denied; the administrative controls will be tightened for Canadian companies doing business in Saudi. Crucial revenue from Saudi investments for many Canadian educational institutions is already being disrupted by Riyadh and air links suspended. 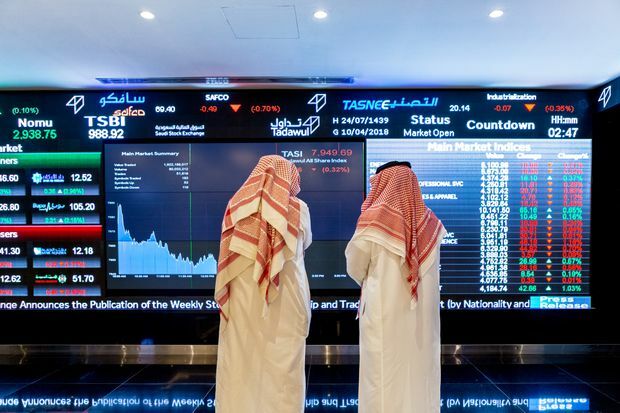 Canadian businesses want access to the US$684-billion Saudi economy, including the Saudi Stock Exchange, also known as the Tadawul. Canadian companies, especially those new to the market, are nervous and in a state of shock because this is something that has never happened before. The short-term impact is uncertain for Canadian companies. The significance of any given risk, of course, depends upon the context of the investment decision and risk tolerance. A rise in tensions between Riyadh and Ottawa puts Canadian bids to win major healthcare, technology, education, transportation, oil and gas, energy and financial services projects on an increasingly shaky footing. Those companies doing business in the Kingdom or pursuing new business need to keep a long-term view. Canada’s role and influence in the GCC hangs in the balance. With tough economic, political and legal sanctions on the horizon imposed by Saudi Arabia, Canada will find itself “blacklisted” by one of the most powerful economies in the Arab region and the world’s largest exporter of petroleum, if it doesn’t manage the relationship carefully. No one is sure what Canada's relationship with Saudi Arabia or the GCC will look like after the dust settles. With Canada and its closest allies facing challenges throughout the region, including threats posed by the Islamic State, Crown Prince Mohammed bin Salman should not be underestimated, and the importance of the Canada-Saudi relationship should not be understated. The more distance Canada puts between itself and Saudi, the more challenging it will be for exports, free movement of people and trade of goods and services. In an extreme event, there could be a visa standoff and full-blown trade war where nobody wins. The current Saudi generation are “Western educated” and “sophisticated” in that they know far more than given credit for by Western governments and media. They are less willing to accept someone else’s ideas on how things need to be done. Canadian citizens and businesses have legitimate concerns about human rights and corporate social responsibility when doing business in high-risk global economies. In the case of Saudi Arabia, we need to keep all channels for trade and political dialogue open, especially when we are critical of them. As Ottawa works hard to deliver on its foreign policy and trade diversification agenda, we need to open a fresh new dialogue to reset and normalize relations with Saudi Arabia in order to prevent current tensions from growing. 3) Sending a special envoy to Riyadh to mediate the situation and avoid further escalation. Some may think we need to pull back from Saudi Arabia, but there is too much at stake. Now is the time to engage more, not less. Canada cannot achieve any of its stated objectives in the Middle East and the GCC without a constructive relationship with the Kingdom. We’ve tried and failed and the only real way is through commercial diplomacy. If Canada doesn’t really get serious about a constructive relationship with Saudi Arabia, it’s not just the potential that we will lose Saudi as a strategic partner but we risk giving other countries such as China, Russia and the United States a real boost in the Middle East and Gulf region. We face an important choice as a nation.